If the new Aston Martin Vantage looks familiar, that’s because the DB10 built for the Bond film Spectre was modelled on it. Sam Mendes and Barbara Broccoli were visiting the Aston Martin offices to discuss what the next Bond car might look like, and saw sketches for the new Vantage on the wall. 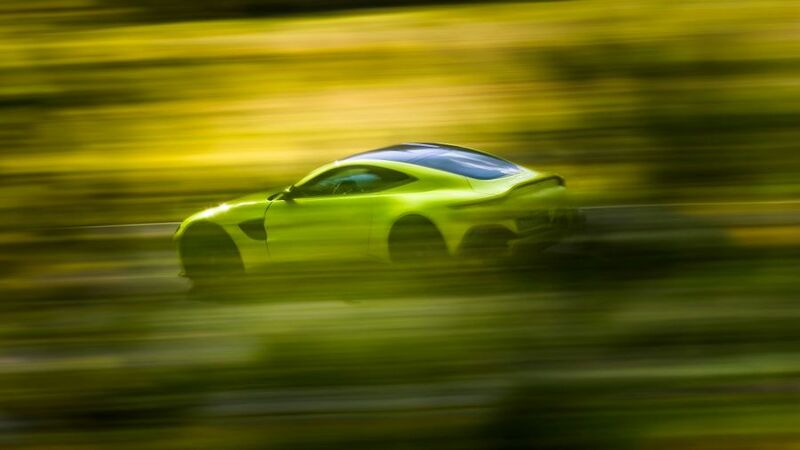 They basically said, “That, please”, et voila: the Spectre DB10. 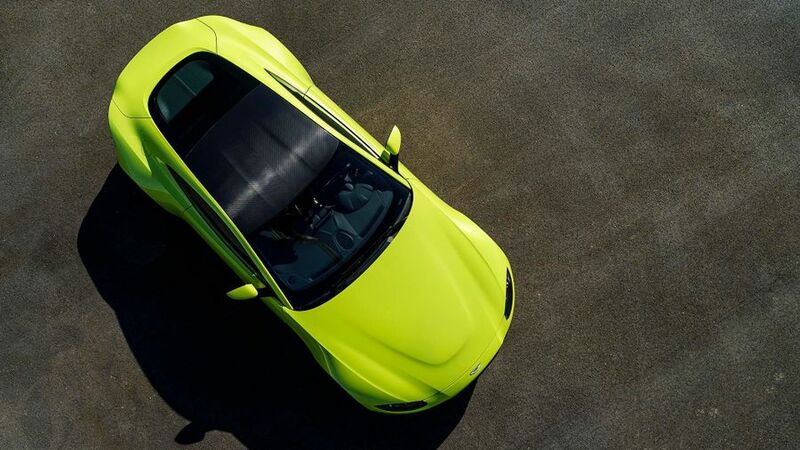 Back to 2017, and here is the latest attempt by Aston Martin to slay Porsche’s 911. Which they won’t do, of course. 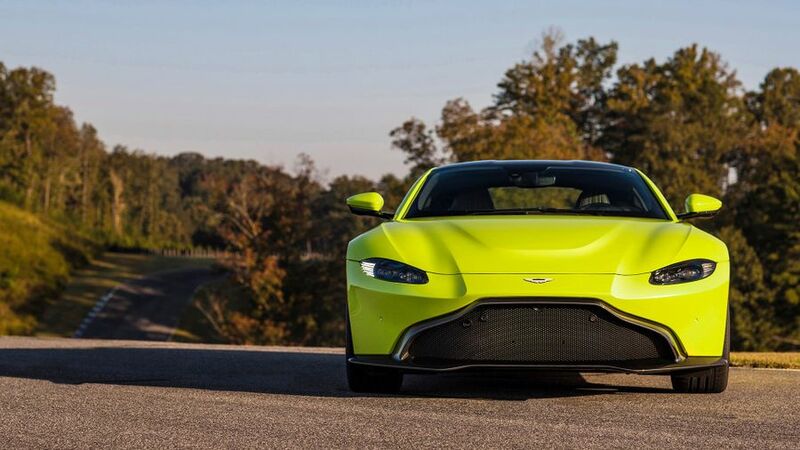 But this new Vantage, a two-seat, rear-wheel-drive, mid-front-engined sports car, starting at £120,900, should make a dent in 911 sales. Boy, does it look gorgeous, with a total lack of garish vents, slats, gaping holes, spoilers or other aerodynamic trickery. Just a very clean, very simple car from designer Marek Reichman’s pen. The 4.0-litre, twin-turbocharged V8 engine comes from the bigger DB11 grand tourer, as does the eight-speed automatic gearbox, but aside from that, this is pretty much a new car. Gone are Aston Martin’s ‘Russian doll’ days of making four different versions of essentially the same car, but with different badges. CEO Andy Palmer has pushed for the funding to make each car very different. 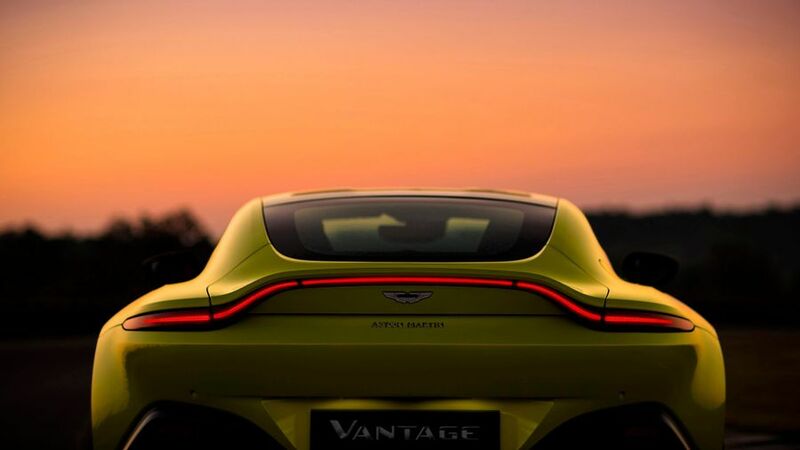 The new Vantage is the second of seven new models planned: there will be the big flag-bearer one to sit above DB11, the DBX crossover, which will be built in Wales, two Lagondas, and a mid-engined car. For now, though, Andy Palmer says the Vantage is, “The greatest car I’ve been involved with in the 38 years I‘ve been in the industry”. Bearing in mind that Andy Palmer is a plain-speaking engineer by trade, you know this car will have quite a bit of fizz on the get-go. The numbers are certainly sparkling: 0-60mph in 3.5 seconds and 503bhp, which is, well, enough to give you goosebumps. There’s also, for the first time in an Aston, something called an e-diff, which is an electronic differential, which in turn basically means the car can corner very quickly, and very neatly. The engine can send extra power to whichever rear wheel is dragging behind on a bend. Fancy footwork aside, Auto Trader refers you once again to the words of Andy Palmer at the car’s launch yesterday: “This is our predator, this is our hunter”. Marketing guff? Sure, but you want to drive it, don’t you? Customer orders are being taken now: form an orderly queue for deliveries next spring.